PHOTON is where Science meets Arts, where the concept of beauty is redefined, where your creativity will make you win. Make a click & take a photon! 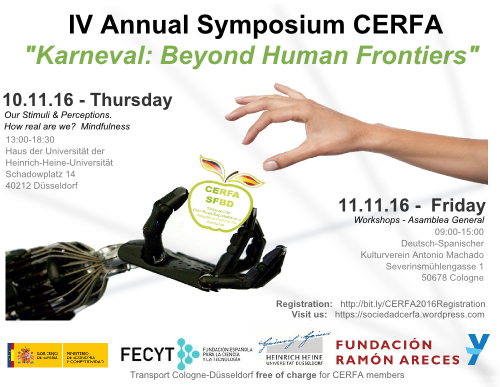 “Karneval: Beyond Human Frontiers”. We will talk about how science and technique allow us to transform our bodies and go beyond our limits, as a metaphore for carnival. 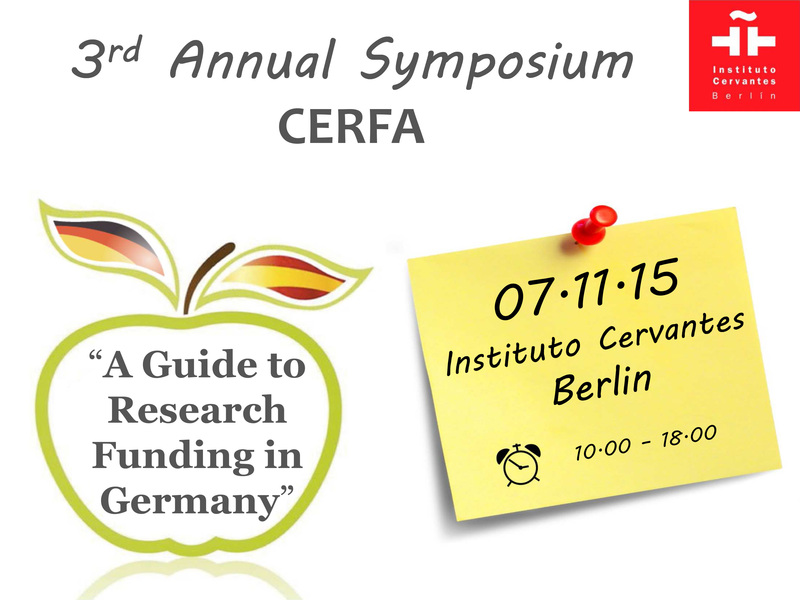 “A guide to Research Funding in Germany”. Con éste, se trataba de ayudar a científicos residentes en Alemania a encontrar financiación para sus proyectos. Al evento asistieron alrededor de 70 personas, entre ellos miembros de CERFA, otros científicos españoles y científicos internacionales.